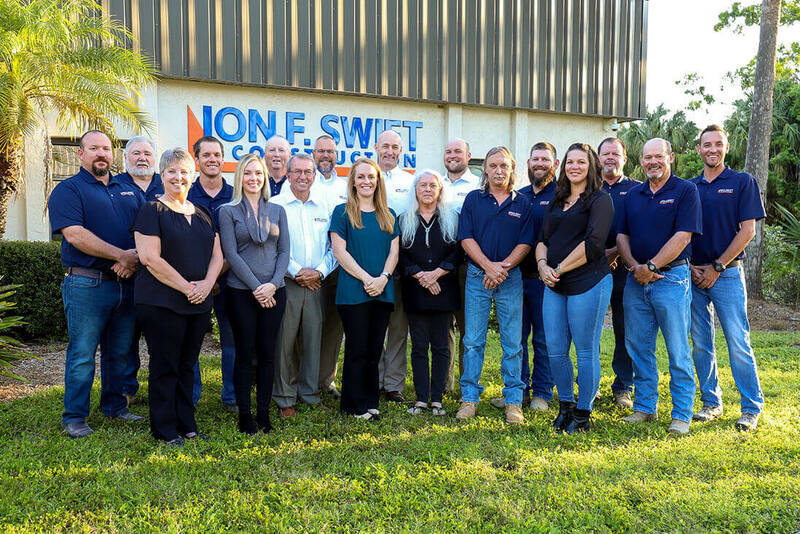 Jon F. Swift Construction is recognized as one of the area’s leading commercial contractors, serving Sarasota and Manatee County public and private sector clients for more than 30 years. The company is experienced in performing general contracting services under all three types of contract delivery methods: Competitive Bid, Construction Management and Design/Build. The team at Jon F. Swift Construction is dedicated to providing our clients with the highest quality project, at a fair price, delivered in the shortest amount of time. That is precisely why our long-time clients continue to return again and again. We are proud to have earned the confidence and trust of our clients and our long list of completed projects including commercial buildings, schools, street improvement projects, and public parks are a testament to our experience and expertise. At Jon F. Swift Construction, we live by the cliché “time is money” and our team is laser-focused on ownership and accountability for our work, even beyond the construction process. “Just a little note about our experience in working with Jon F. Swift, Inc. This summer we worked with Jason, Steve, and Fin, among others along the way on the Five Points Roundabout project. All of your employees exhibited a good work ethic, expertise of knowledge, and professionalism during the entire length of the project. Always willing to make adjustments for the betterment of the project with a positive attitude. It was a pleasure working with Jon F. Swift, Inc.